The events of UFC 199 changed the middleweight division for the worse for well over a year, but things are finally back to normal at 185 pounds. It was at UFC 199 that Luke Rockhold, who had just finished Chris Weidman via strikes at UFC 194 to win the middleweight crown, was knocked out in shocking fashion by Michael Bisping, who had taken the fight on short notice after Weidman pulled out of the rematch with an injury. 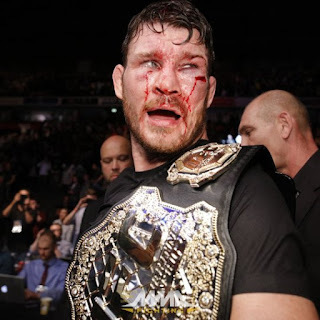 At the time it was an incredibly exciting KO, but Bisping's victory changed the course of the middleweight division for the worse. Instead of making his first title defense against one of the division's top contenders like Weidman, Ronaldo "Jacare" Souza, or Yoel Romero -- or even a trilogy match against Rockhold -- Bisping fought Dan Henderson, who was pushing 46 and at the bottom end of the Top 15 middleweight rankings. Obviously this was a grudge match after what Hendo did to Bisping at UFC 100, and the UFC figured the rematch would be a big PPV in London, England, but it was a hard sell giving Hendo the title shot off of a win over Hector Lombard. The Hendo vs. Bisping fight happened and was actually a good fight, but it was a pretty controversial decision by the judges to let Bisping retain the title, and Bisping held onto the title even longer while the rest of the middleweight contenders sat in purgatory. Rather than defend his belt against one of the top contenders, Bisping instead pushed for a superfight against Georges St-Pierre, and the UFC decided to announce the fight without a date or location. The fight ended up being postponed, and with Bisping allegedly taking time to deal with injuries and post-surgery recovery, the UFC had no choice but to create an interim title, which was fought between Romero and Robert Whittaker at UFC 213. Whittaker ended up winning the back-and-forth bout, but despite holding the interim belt, the UFC chose not to give him the title shot and instead circled back to the Bisping vs. GSP fight. The fight took place at UFC 217 and it was actually one of the better fights of the year, with GSP claiming the middleweight title via rear-naked choke over Bisping. 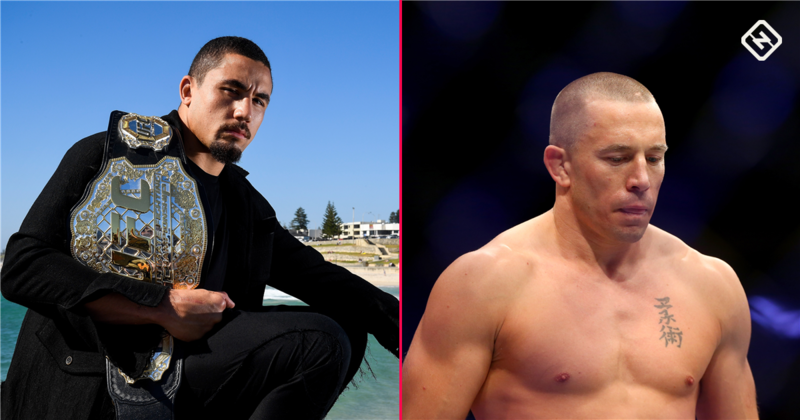 After over a year of uncertainty in the middleweight division, it seemed like everything was back to normal, and UFC President Dana White promised GSP would unify the middleweight title against Whittaker. That quickly changed, though, when GSP got colitis and decided to relinquish the title due to health concerns. 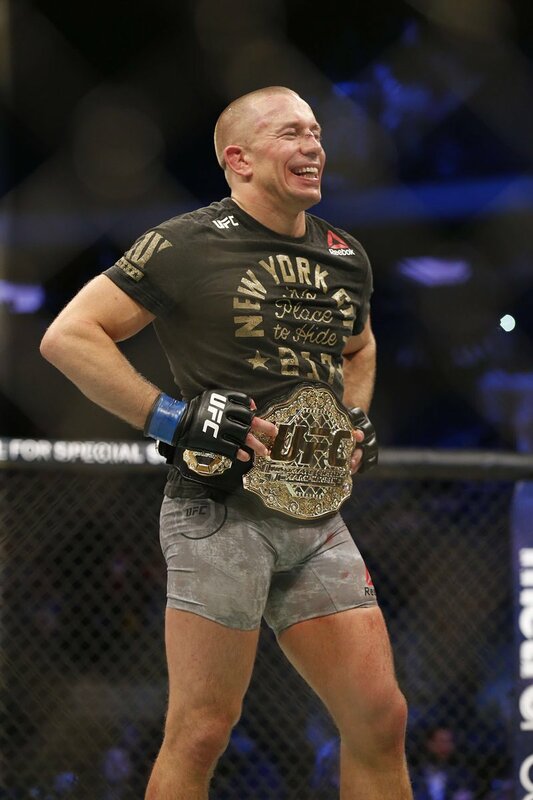 Instead of holding up the middleweight division like Conor McGregor has the lightweight division, GSP did a commendable thing by giving up his title, and now Whittaker is the undisputed middleweight champ, scheduled to make his first title defense against Rockhold at UFC 221. So finally, after well over a year of uncertainty, the middleweight division is back to normal. Whittaker fights Rockhold and the winner of that fight likely fights either Weidman or Kelvin Gastelum next, with the winner of Souza vs. Derek Brunson also waiting in the wings. With Bisping having lost two straight fights, he's out of the title picture, and with GSP giving up the title, he's out of it too. For the fighters at 185, the belt belonging to Whittaker gives everyone in the division something to strive for. GSP did the right thing in giving up the belt, and with Bisping no longer holding the division hostage, things are back on track to where they were before he beat Rockhold for the belt. Now let's just hope the lightweight division gets more clarity next, and that only happens if McGregor either announces his return fight against Tony Ferguson or gives up his belt.